A delicious and versatile ready to use sauce. Perfect on its own or enhanced by your own creative touch. It can be used on the hob, in the microwave or bain marie. Freeze thaw stable. Contains no artificial preservatives. 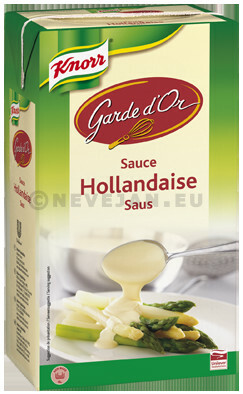 Knorr Garde d'Or sauce hollandaise - a delicious and versatile Ready to use sauce. Perfect on its own or enhanced by your own creative touch. The sauces complement meat, poultry, fish and vegetable dishes. It can be used on the hob, in the microwave or bain-marie.